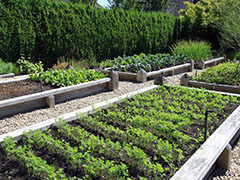 RAISED PLANTER BEDS - We build planter beds out of the best materials and have high grade planters mix. PRUNING - We offer an annual trimming of all plants, shrubs, trees, and ground covers. PLANTING - Call us for tree, shrub, and all other plant installation. WEED CONTROL - We recommend a twice a year weed abatement program with a six month guarantee. 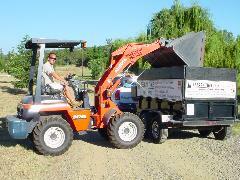 INSTALLATION - Residential & commercial rock, sand, and gravel install. We do walkway designs & pathway projects large or small. 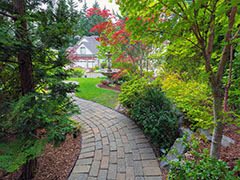 Create a walkway through your garden or yard with our unique walkway ideas. 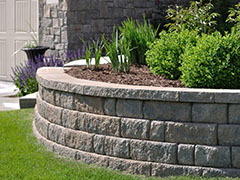 Rebark Time specializes in the design and construction of a variety of wall solutions for our customers. If you like to plant vegetables and flowers, we build planter beds out of the best materials and have high grade planters mix. October and February are the best months for our weed abatement program. We have two weed seasons. Cold, which is our first rain in October. Warm, when the last of the heavy rains have stopped. Rebark Time recommends adding 1 -2 inches of material every 2-3 years for optimum weed control. The integrity of this material breaks down 27% to 30% a year from rain, heat and high traffic areas. Our products are very low maintenance for any yard, look beautiful and cost effective. It provides low maintenance for any homeowner. Give us a call for a free estimate . The benefit of our business is affordable prices and no running all over town to find what you want. 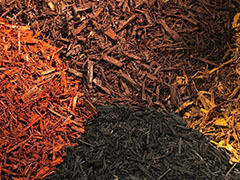 We carry all types of bark, gorrilla hair, walk on bark, cedar, 3/4 in. fir bark, medium bark and large bark.